Lasseter-San, Arigato! depicts the 2002 trip by several employees of Studio Ghibli to promote the movie Sen to Chihiro no Kamikakushi (Spirited Away) in North America. 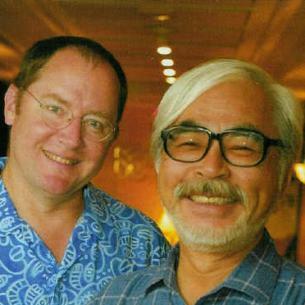 It was originally made as a private thank-you gift from Ghibli to John Lasseter, the Lasseter-San of the title. The show appears similar to a home movie, or private documentary.